China can't kick its coal habit, despite government efforts to clean up the nation's pollution. The world's second-largest economy will continue to produce and consume as much of the fuel as the rest of the world combined over the next five years, according to a report released by the International Energy Agency Monday. The report estimates that coal demand will grow at an average rate of 2.3 percent per year through 2018, compared with last year’s forecast of 2.6 percent for the five years through 2017 and the actual growth rate of 3.4 percent a year between 2007 and 2012. While China will account for nearly 60 percent of new global demand over the next five years, recent government efforts to diversify its energy consumption will help slow the global increase in demand. The report follows China’s announcement of a ban on new coal-fired power plants in three industrial regions around the capital Beijing, Shanghai and Guangzhou, a move aiming to combat poor air quality. 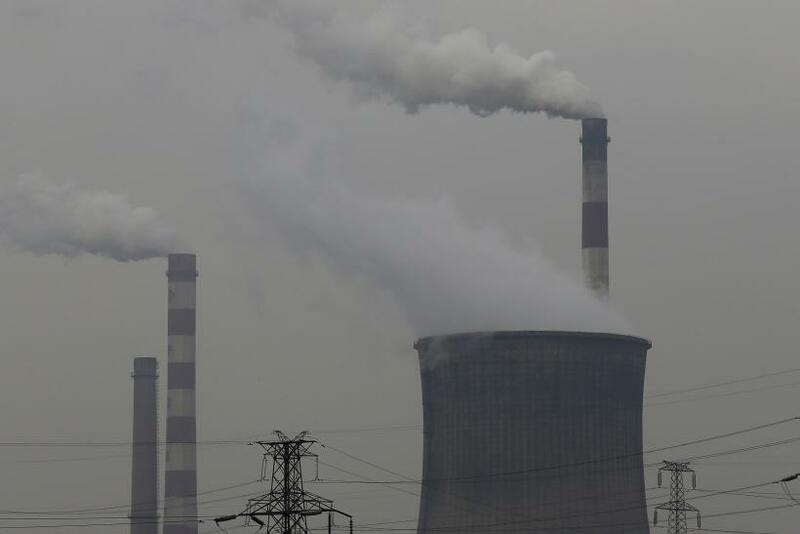 The State Council and China’s Cabinet action plan aim to cut coal’s share of total energy usage to 65 percent by 2017 while increasing the share of nuclear power, natural gas and renewable energy, the Associated Press reported Thursday. Coal consumption in China in 2011 accounted for 68.4 percent of total energy use, according to China’s government statistics, and while the new coal plants will be banned in the three industrial regions, the overall amount of coal burning will actually continue to increase, Marin Adams, a Honk Kong-based editor for the Economist Intelligence Unit, said. "Of course, saying it out loud does send a signal that the government is serious about at least decreasing the rate at which coal consumption grows and about getting more renewables and natural gas and nuclear," Adams said. "I think possibly just as important, if not more important, is the signal it sends to the Chinese people that, 'We are trying to control pollution levels on the eastern seaboard.'" The government has been under pressure by the middle class to clean up air pollution, especially in the areas around Beijing, the Yangtze Delta and Shanghai, and in the Pearl River Delta region of Guangdong province. Li Yan, a climate and energy campaign manager at Greenpeace East Asia, welcomed the plan, saying it was important to set a precedent that could extend throughout the rest of China. "China's political leadership has set an ambitious timeline to solve China's air pollution crisis, responding to the mandate set by the Chinese public, especially in the heavily polluted cities around Beijing," Yan said. China Improving Air Quality -- Or Is It All Talk?